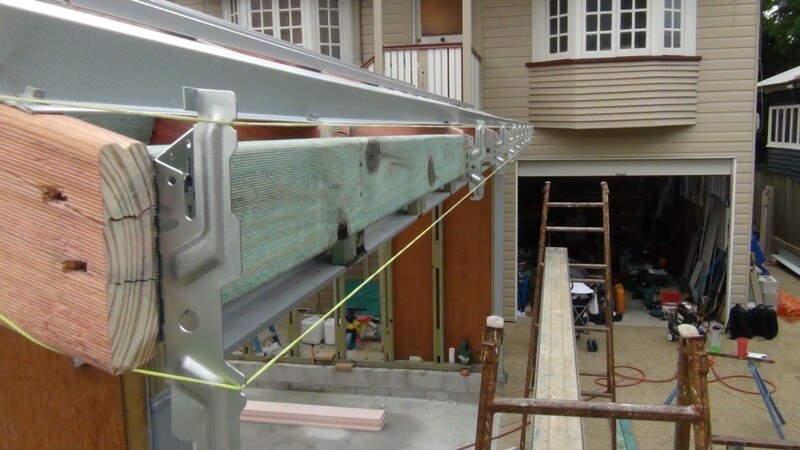 Once you have finished all your bracing,tie down and batterns get two brackets and place them on each end on the tails of your trusses or block work. You have to fold the brackets in order to fix them to the block work. Use a straight edge or level and place it over a few batters running down towards the edge of the truss tails. Place your brackets at that height this is very important. Below is a photo to give you an idea. 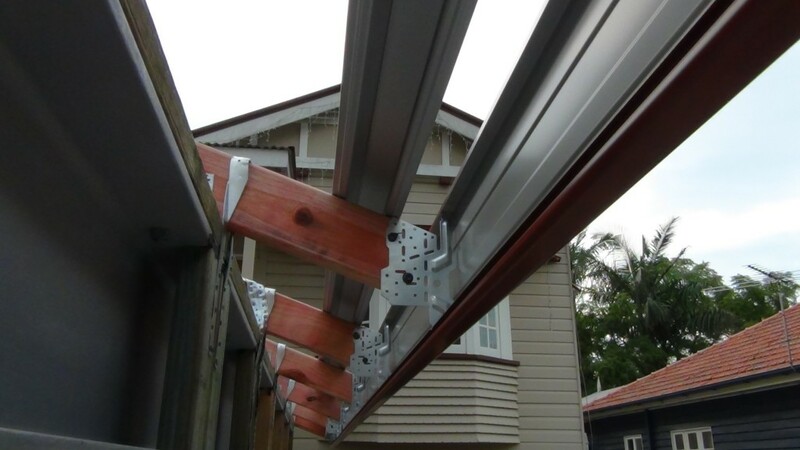 Once you have done that place a string line on the notches provided in the brackets top and bottom. I use one roll of string line looping it back. Make sure the line is tight. Now that the string line is in place get your brackets and fix them into place at the end of your truss tails. Most installers use common screws but I prefer to use 6 to 8mm gauge hex gal screws. It is easier to screw or reverse them out. 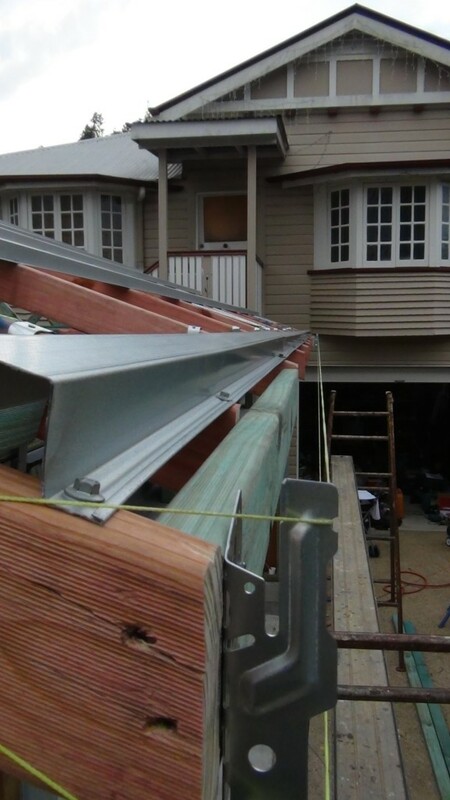 Make sure you put in at least three screws to line the top and bottom and one just to secure. Also make sure that you don’t push out onto the string line just be short of it by a few millimetres. This will keep the line true. Now all you have to do is clip your facia in. Clip it on the top over the whole run with the bottom of the facia kicked away from the trusses. Then bring the bottom in pulling it down past the clip and letting it spring back and lock into place. And there you go. If you follow the steps and replicate them on the other side everything should tie in and match.